'We will retaliate against this', says Turkish FM, after woman charged in Israel for supporting Hamas terror group. 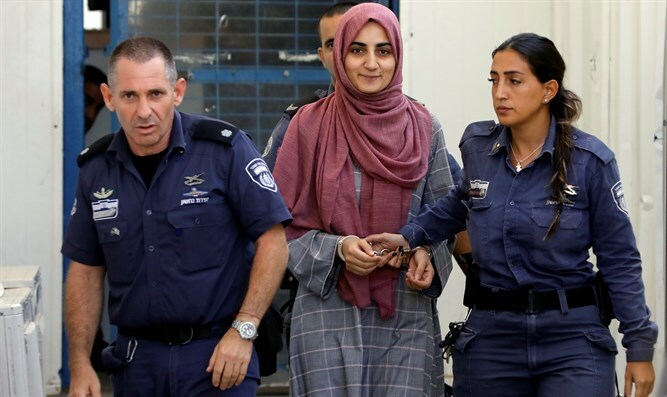 A Turkish national who was arrested in Israel last month has been charged with aiding a terrorist group, after she allegedly contacted members of the Hamas terror organization and transferred money on the group’s behalf. In June, 27-year-old Ebru Ozkan was arrested at Israel’s Ben Gurion International Airport as she was preparing to board a flight back to her native Turkey. During her time in Israel, prosecutors say, Ozkan worked on behalf of the Hamas terror group and carried money for terrorists linked with the Gaza-based terror organization. On Sunday, Ozkan was formally charged in an IDF court with two counts of acting on behalf of a hostile organization, and one count of transferring money to hostile foreign agents. According to a report by Reuters, on Friday, Turkish Foreign Minister Mevlut Cavusoglu blasted Ozkan’s arrest, demanding her return and threatening retaliation. “We will retaliate against this,” said Cavusoglu. The minister claimed that Israel was “taking deterrent measures against” Turkish citizens “travelling to Jerusalem”. Investigators claim that, among other things, Ozkan planned to smuggle items back to Turkey to sell, hoping to raise funds for the terror group. Ozkan’s lawyer has denied the charges. “I think that in this case the decision will ultimately be a brave one – to release her. I hope,” said attorney Omara Khamaisi.